Off last night (Tuesday) in a van, weaving through the streets into an older part of Shanghai, for a fan/media event. 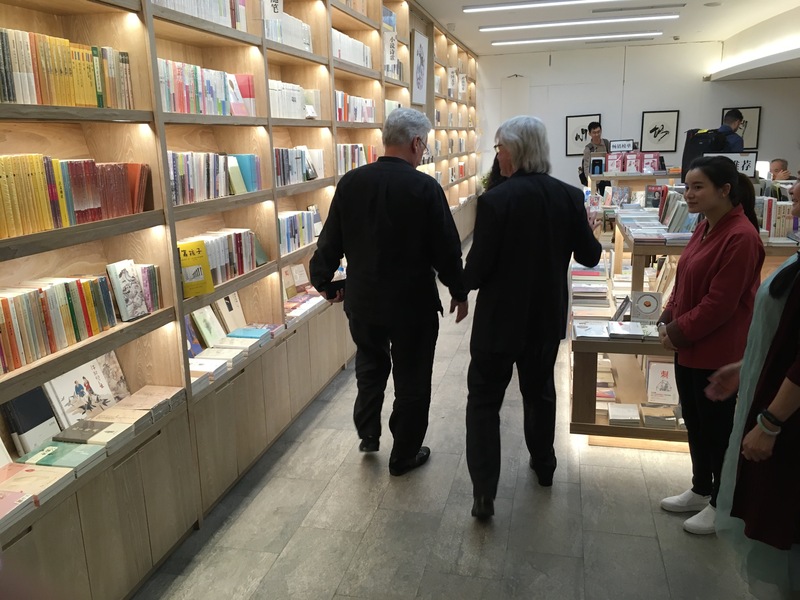 Violinist Pinchas Zukerman (our soloist on tour) and conductor Carl St.Clair chatted about the world of classical music and their previous experiences in China along the way, and then we arrived at the venue, what we would call a small independent book store with a gathering place for events in the back. 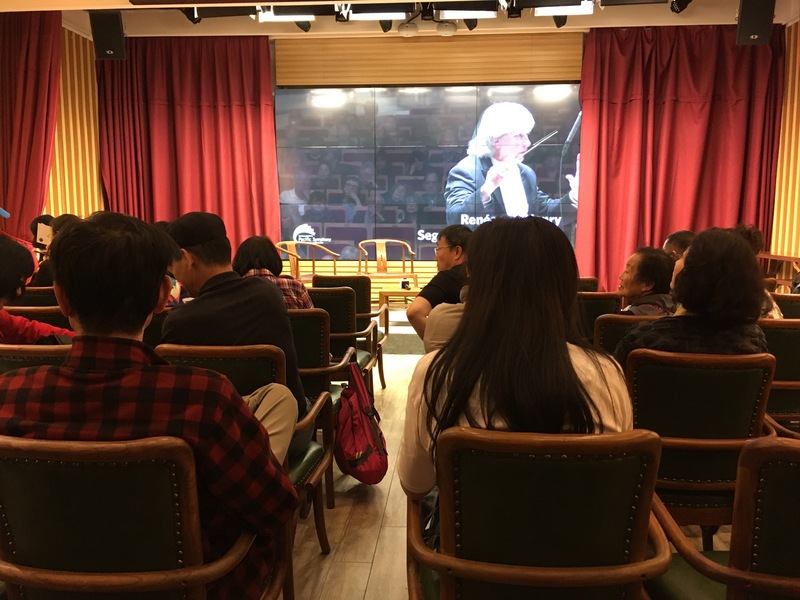 As the crowd gathered, St.Clair and Zukerman were interviewed by media in another room, and a video showcasing Pacific Symphony’s activities was shown to the audience, which eventually filled the room and numbered around 100. 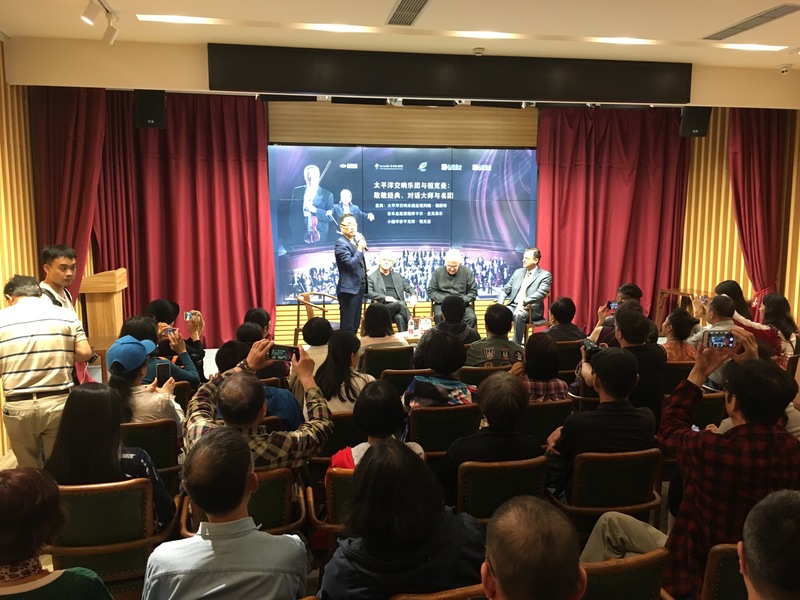 An hour long interview in front of the audience ensued, hosted by the very lively Zhang Ming (left), who also translated all of the answers made by Zukerman, St.Clair and Symphony president John Forsyte in great and extensive detail. As us English speakers sat quietly listening to the translation, not understanding a thing, we would be occasionally startled by an English phrase — “bank account,” “Bernard Haitink” — popping out in the middle of it. All questions, odd or not, were answered amiably and well by our trio, however, and Forsyte made an explicit pitch for all those present to visit us sometime in Orange County. This truly was a cross-cultural event and the audience seemed passionate about Western classical music. They mobbed Zukerman and St.Clair at the end of the interview, asking for autographs and photos with them. Forsyte was also asked for his signature and photo. One fellow even requested a pose with yours truly. 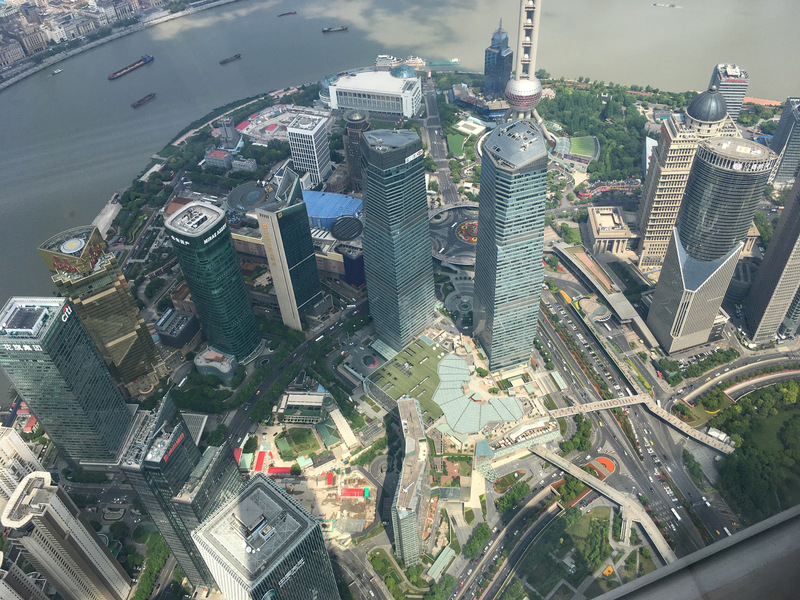 Wednesday morning addendum: Up early, walked to the second tallest building in the world, Shanghai Tower, went to the 119th floor and snapped this photo for your viewing pleasure. This afternoon: Rehearsal. Tonight: First tour concert at Shanghai Poly Grand Theatre. This entry was posted in classical music, news and tagged Carl St.Clair, China tour, John Forsyte, Pinchas Zukerman by pacificsymphony. Bookmark the permalink. How exciting for the orchestra. Can’t wait to hear about the tour. Break a leg.